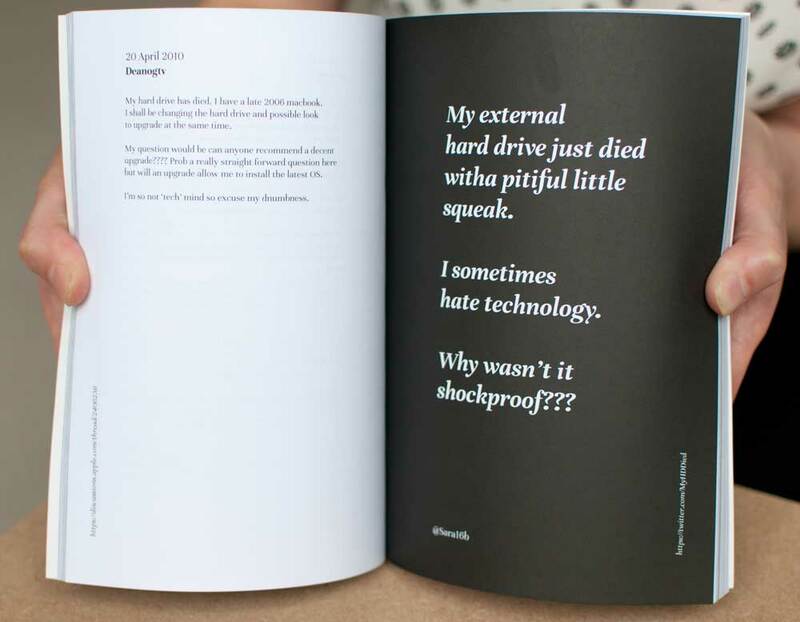 A topic that anyone can relate to: data loss and bit-rot! – We always seem to be looking for a new technical solution for knowledge and information storage. We hope there is one magical, final solution, one that will solve every issue. But easy solutions create their own problems. The perceived view of the stable nature of digital information differs from reality. There are many points of failure, like old physical formats, lost or non functional machines, companies that go bankrupt, file formats with no support in the future, or changing user licenses. It seems that the more technical the technology gets, the more problems it creates. 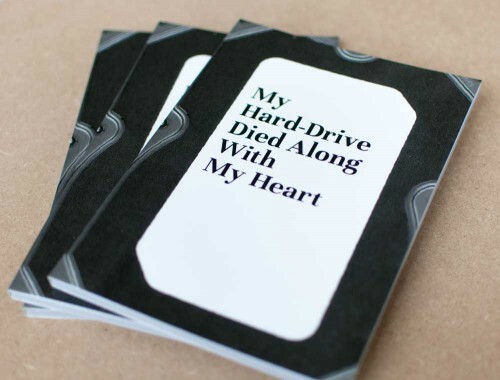 “My Hard-Drive Died With My Heart” contains online forum posts and tweets from social media on the subject of data loss, from the perspective of people online losing information and dealing with the aftermath of dead or non functional hard-drives.